At Eenie Meenie Miny Mow! Landscaping we’re passionate about our work and our clients! “Eenie Meenie Miny Mow!” has been used forever to make an easy decision - and it still is today. There is no better choice for you! Eenie Meenie Miny Mow!, a locally owned and operated company, is dedicated to the enhancement of our communities, one property at a time. 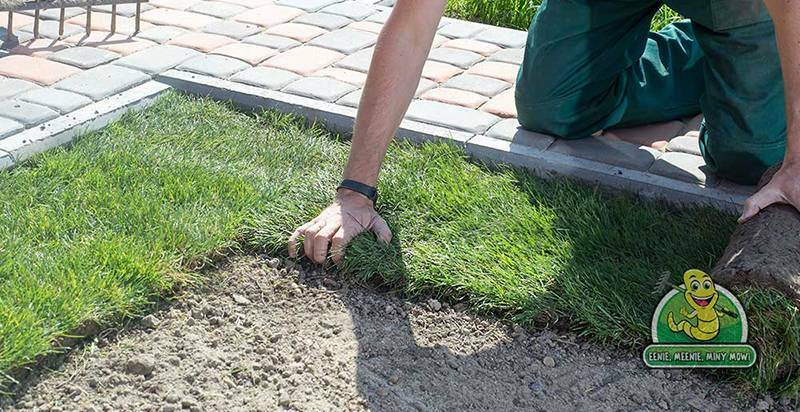 Our services range from lawn maintenance and gardening, to landscaping, and everything in between. Maintaining great outdoor appeal gives property owners satisfaction and can raise property values. Our clients can rest assured that they will get the best results for their residential or commercial space from our talented franchisees. With the help of our training program and our complete support centre, you will be able to provide your clients with an assessment, information and expert results. Eeny Meenie Miny Mow! Landscaping offers a complete support system for all of our franchise partners so that they can build and succeed as a team. Approved applicants are contacted via phone within 48 hours of receiving their completed application. There is no need to outsource your questions or concerns. Our in-house franchise specialists are available to all of our partners whenever they’re needed. Eenie Meenie Miny Mow!’s business model inspires success and involvement in all aspects of our franchise offices. The landscaping industry never stops, and we are there to answer the call. In an industry dominated by small-scale businesses that just can’t provide that professional touch and makes clients “feel like a number”, we're different. Our clients put a great deal of trust in our team and in our brand by allowing us to take care of their homes. Our locally owned franchise offices and local technicians support a feeling of community and security. The “neighbours helping neighbours” feeling is what sets us apart. We put a fresh look on an industry that has had minimal Franchise Structure within Canada. Our new twist on presentation gets our franchisees noticed, and surpasses the competition. Can’t-be-missed marketing that goes above and beyond the competition. Eye-catching vehicles that everyone in your community will recognize. Share daily operations with our EMMMow! support centre so that you can focus on your operations and never miss a call. The support centre assistance allows your technicians the time to deal with clients face to face on issues such as estimates or service outlines. Use the EMMMow! App, to work in the field. You can run your business from your tablet or even your phone! Online, so a virtually paperless business! Awesome! We love new blood! Really, whether you have 20 years or 20 minutes of experience, with 1 week training at EMMMow! Headquarters, you will be ready to roll! And you’ll never be alone. Ongoing support and training is one of the most important assets of an Eenie Meenie Miny Mow! franchise partnership. The EMMMow! Call Centre (1.888.45GRASS) is designed for clients as well as for our team members. Franchise partners can phone in with questions at any time. Learning is never finished and with EMMMow!, neither is our teaching. Every-day landscaping services are a dime a dozen. EMMMow! BREAKS AWAY from the competition by offering expert customer service, a trustworthy and recognized name a great image and a professional result from start to finish. Now you can be part of this exciting opportunity, enjoying the support of an exceptional team, and a great brand. Be the landscaping name that your community trusts! Discover our other concepts, Toodaloo and Gorilla Property Services.